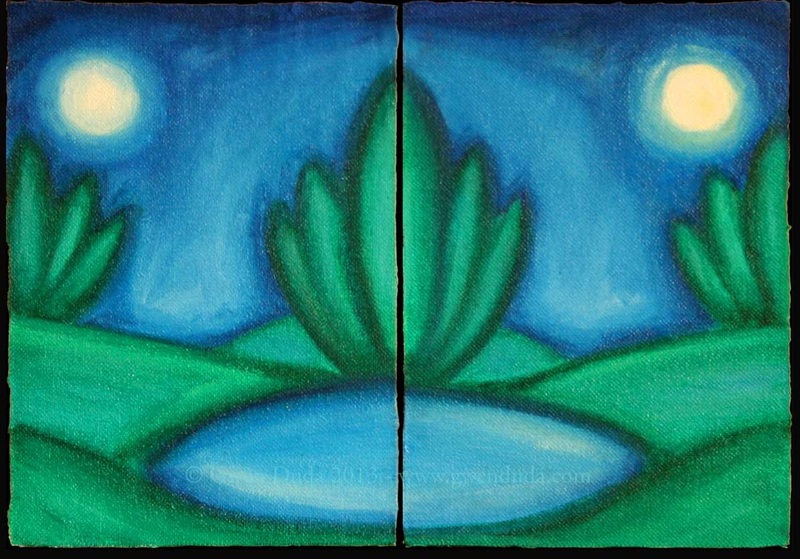 A surreal original where day turns to night in this abstract landscape oil diptych painting on canvas wood panel. The painting has a tactile feel to it as the painting extends to the edge of the canvas which hangs slightly over the wood panel. It can be hung as is or framed.